If you’re like us, there are so many things taking up space in the baby’s room (all those toys from Grandma, more clothes than me and my husband combined) that we’re constantly searching for storage solutions. And a change table is such a bulky, big, space-waster. 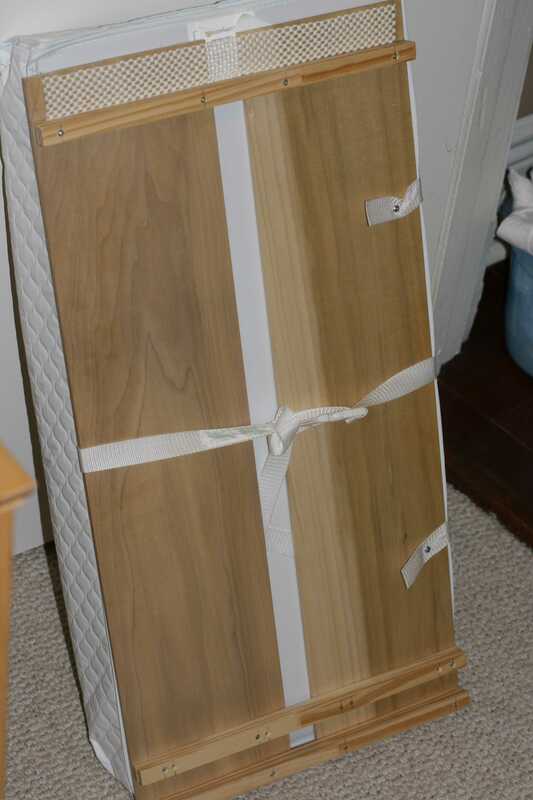 This space-saving, light-weight change pad shelf from Janet is built to fit over crib rails. It fits a standard change pad and also makes a fun hiding spot for crib playtime! Total Time Required: Can be completed in an afternoon – a bit more or less depending on your handy skills. Working Time Required: This took about three hours, including shopping for wood. Outside rail to outside rail =A. If this measurement is less than the length of your change pad, use the change pad length instead. Space the shelf pieces so that they equal the width of the change pad (B). Lay the rail guide on the shelf pieces. Starting at one end of shelf, secure a rail guide with carpenters glue and screws. Leaving a gap equal to the width of the crib rail (C), secure another rail guide. Leaving an overhang equal to the width of a crib rail (C), secure the third rail guide at the other end of the shelf. 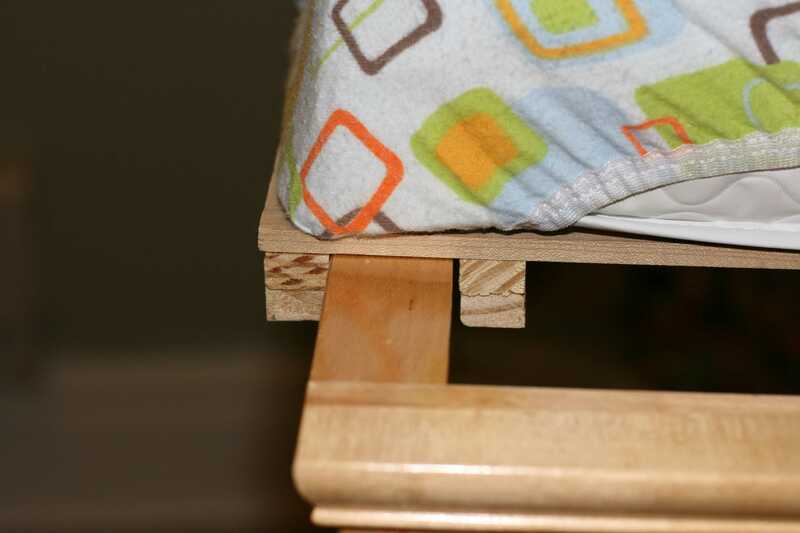 Using the carpenter’s glue, or another adhesive, attach strips of non-slip shelf liner to the shelf where it will sit on the crib rails. Screw the change pad to the shelf as you would if it were on a dresser or change table. We also used the safety straps to tie the pad to the shelf. Janet often wishes she lived on an Edwardian farm so it would be entirely normal to make her own clotted cream. I am going to this on Thursday. What a great idea! Thanks for sharing.